Get peace of mind with Nueva Precision as your trusted manufacturing support service provider. Lean on us for our fast and cost-effective product development support from beginning to end. 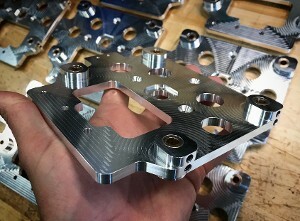 An experienced partner is key when developing, making, and taking a product to market, which is why we utilize our more than two decades of Computer Numerical Control (CNC) machining experience and product development solutions for small businesses and individuals throughout Denver and surrounding areas. Optimize your product design and creation with our machining and design services. When it comes to CNC manufacturing services and product development solutions, there is no better provider than Nueva Precision serving Denver, Colorado. Our more than 20 years of machining experience with product design and manufacturing for off-road trucks led us to start Nueva Precision. Utilizing our more than 15 years of business experience, we now provide manufacturing support for people and small businesses seeking product development. We have a passion for building and creating new ideas and products. Our team is inspired by people who have ideas and want to see their ideas come to life. That's why no job is too small for Nueva Precision.